Manuals or user guides are documents provided for free by manufacturers to direct consumers and inform them about the basic functions or features of the product. Firmware on the other hand, contains embedded codes and fixes to improve the performance and reliability of a particular device. 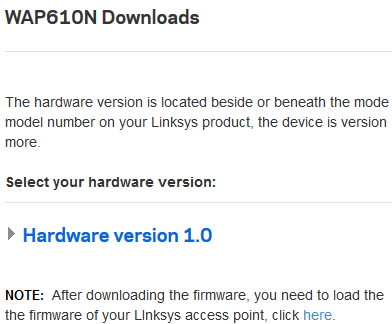 QUICK TIP: You can also click this link to download the product manuals and firmware of the different Linksys devices. Open a web browser and go to the Linksys Support Site. Enter the model number of your Linksys access point in the Search by Product Name or Model Number field and click on your device model number. Click on the USER GUIDE PDF or DOWNLOADS / FIRMWARE button. Alternatively, you can click on the Downloads tab. 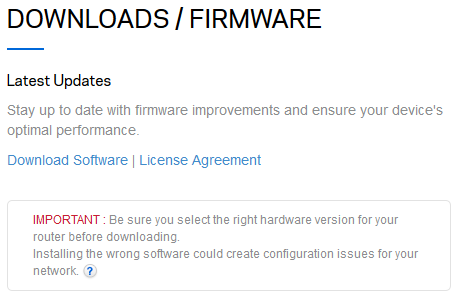 You can also choose to scroll down and click the Download Software link under the DOWNLOADS / FIRMWARE section instead. 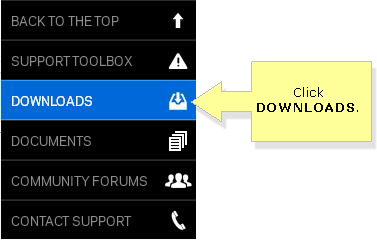 Once you are on the product's Downloads page, select the correct hardware version from the drop-down menu. To identify your device’s hardware version, check the model number if it has a version number. To know the location of your device’s model number, click here. If you see that your device does NOT have a version number, select version 1.0. Select the type of downloadable file that you need and click on the link corresponding to it to start downloading your file. NOTE: If you see a Firmware Unavailable message, it means that your device is no longer updated. After successfully downloading your user guide and firmware, you are now ready to configure the Linksys access point. The manual can be used to guide you in the installation or the set up process. Furthermore, since you already have the latest firmware, you can now proceed to upgrade the access point.